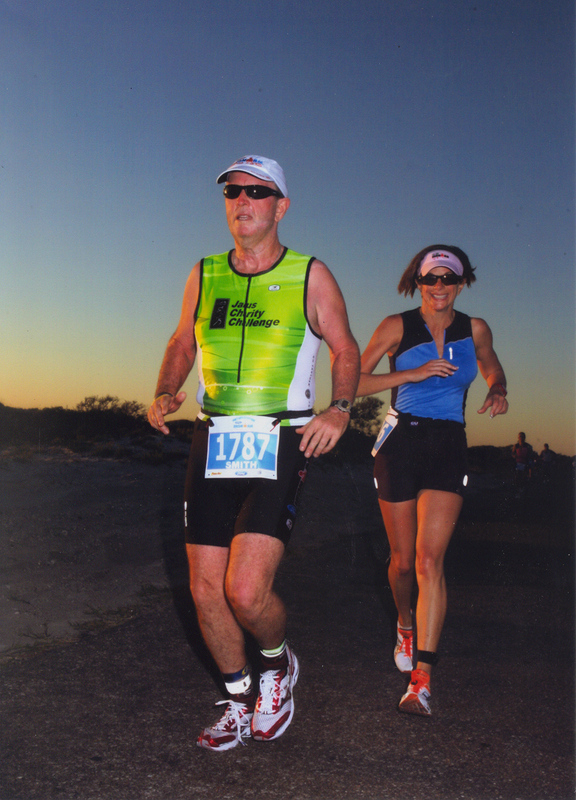 I decided to make this page to share some of the wisdom and thoughts I have gleaned from my fellow Ironman triathlete and runner friends over the years. They have helped me to get through more than one "tuff spot" during a race and some are just funny! Maybe they can help you too. "I'll do what I can do right now" Dave Scott, IM World Chamipionships when not happy with his swim one year. "Move your arms, your legs will follow and your mind will get you there"
The runner's prayer..."Dear Lord, if you pick them up, I will put them down." "Slow and steady wins the race". The Tortoise vs the Hare. In a discussion with Terry of Camden Bicycles recently, he related what an elite cyclist friend commented on the days excellent ride they had for 48 miles at a 19.1 avg. "At the end of the month, when I total my training log... if I averaged over 15mph total, it was a good month." The following comments are from an experienced Ironman Florida friend, 'VM'. He posted these comments on the IMF 2005 chat page and I have referred to them often ever since. "Smooth and efficient equals fast"
"My advice is to simply concentrate on the moment and don't look beyond. On the swim, feel your stroke. Try to stay as smooth and relaxed as possible." "On the bike, again stay really smooth and stay in your own head. People will be flying by you on the bike for the 1st hour or so... let them go. You WILL see all of them and some others in an hour or two." "As for the run, well you know what to do once you get there." "Never press the pace... ever. Change up your position on the bike by standing, and try to find a rhythm on the swim and run. You'll do great." Sunset with one of my "new best friends" on the Ironman Florida course, 2008. Only 16 miles to go.